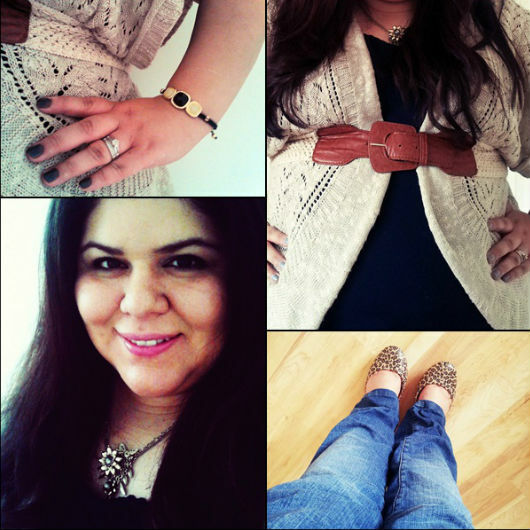 Babblings of a Mommy: Summer-To-Fall Transition Feature. Happy Monday lovelies! I'm so honored to have INPINK feature me on their site talking about how I transition my wardrobe from summer to fall. "Summer is all about breezy tops and flowy dresses to keep you from melting in the heat, but now that fall is knocking on our doorstep and the temperatures are set to drop, I like to put my personal style to the test layer by layer." To read more of my post, be sure to head over to INPINK. In the meantime, how do you transition your look from summer to fall? So pretty! Love the belted sweater and the leopard!! Your leopard shoes are so great! Layering is key as the seasons transition. Congrats on the feature! I'm all about layering when I'm transitioning! I totally agree. Layering is my favorite thing about the fall-- and I love how you layered up with the sweater. It looks so cute belted like that! I'm stopping by from MBC and I entered your Tote giveaway. Hope you can stop by http://mamasmusingsblog.blogspot.com/2012/09/skoy-cloth-review-and-giveaway-1002.html and enter mine! Layering is the best part about fall. Loving the leopard flats and Congrats on the feature! Especially in summer we are more concern about selecting our wardrobes which gives a real comfort as well as protect us from heat. So the above wardrobe collection helps to fulfill our desire needs while keeping the temperature low and cool.